Remembrance service Kabul 2016 laying the wreaths. 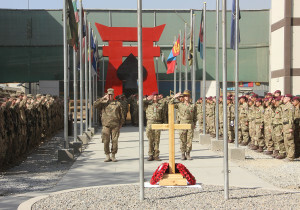 UK and US soldiers gathered together in Kabul this weekend to take part in a poignant Remembrance Sunday ceremony. 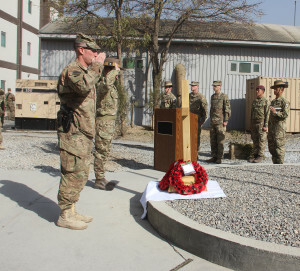 Together as part of NATO’s Resolute Support mission, Gurkhas from the 2nd Battalion, The Royal Gurkha Rifles (2 RGR) and Americans from 2nd Battalion, 506th Infantry Regiment (2-506th) gathered to pay their respects in a joint ceremony to mark both Remembrance Day and Veteran’s Day. 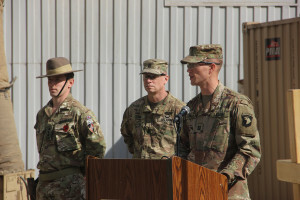 With co-operation between the two allies so close, as part of the Kabul Security Force, the ceremony was another example of the shared culture and close comradeship displayed daily in Kabul. The service was led by US Army Chaplain Captain Robert Rayburn. 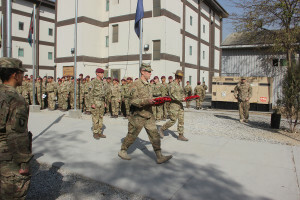 Recognising the notable commitment each unit has given to Afghanistan since 2001, the service also remembered the sacrifice of families at home – a fact that struck a chord with many of the soldiers on parade. US Army Chaplain Robert Rayburn leads the ceremony.